There are 54 districts, 511 public schools, and 27 charter schools in Alaska serving 131,167 students. 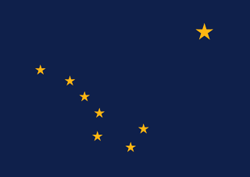 Financially the state of Alaska spends approximately $18,699 per student. There are 8,088 full-time teachers receiving a total of $666,918,708 in salaries and $413,654,983 in total benefits. 44,887 students receive a free lunch and 8,351 receive a reduced-price lunch.